May be I’m being too sarcastic but this is what general public think here in Pakistan. All the good things that little girl are backed by western agendas. So she proved them right again by acing her O level with awesome grades. That is what western mission is; to educate Pakistan and this is how Malala Yousafzai proved them right. The teenage education rights campaigner who came to Britain after the Pakistani Taliban tried to kill her, has scored high marks in national school exams, her father tweeted and said to media. The girl shot for championing girls’ rights to education, gained six A* grades, the highest possible, and four As, the second highest, in her GCSEs. Her top grades were in biology, chemistry, physics, religious studies and two math’s exams. The news flashed on social media and there the anti Malala comments started again. She was as usual highly criticized but many appreciated her as well. Malala Yousafzai was flown to Britain in 2012 for hospital treatment after being shot on a school bus in Pakistan’s Swat Valley. She now lives permanently in Birmingham, central England, with her family and attends an all-girls school. 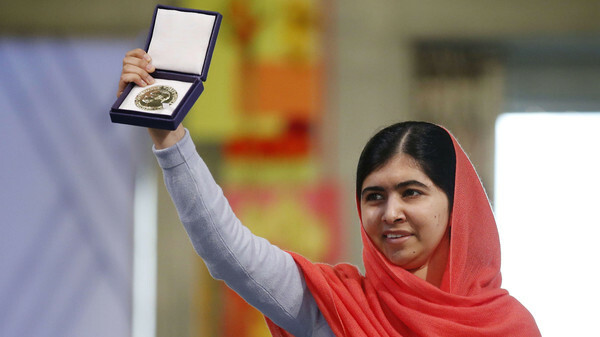 She hopes one day to be prime minister of Pakistan, was awarded the Nobel Peace Prize in 2014 jointly with India’s Kailash Satyarthi for promoting education rights for children. GCSEs are exams in a wide range of subjects usually taken by all children in Britain at the end of their fifth year in high school. Pupils received their results on Thursday. I wonder why we are so frightened with a little girl. If she gains something good it’s a pride for us, until she is not doing anything bad, then why can’t we digest her success?